Pay Option ARM loans are probably one of the trickiest and least understood mortgage programs available to consumers. Let me Stress to you at the very beginning, your Payment Rate is not your Interest Rate. This is how many of Pay Option ARM mortgages are sold to consumers and this is where most get confused. Your Interest Rate is how much interest you will pay on the money borrowed. The Pay Rate is the minimum payment you need to make on the loan to the bank. Payment and Interest are two totally separated issues. I borrowed $200,000 with at an Interest Rate of 7% and my Payment Rate is 2%. The difference between the interest on the loan and the pay rate is then added to my mortgage balance. 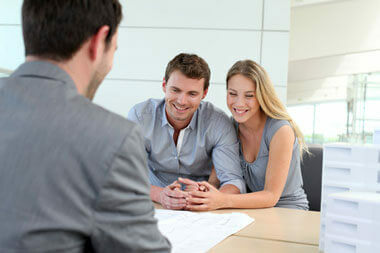 Since you are adding to your mortgage balance each month your loan is negatively amortizing. Once again your Pay Rate is not Your Interest Rate. So when you are told you only need to pay $333 per month on a loan for $200,000 that is just the pay rate the lender requires. My Interest per month is $1167 per month so the difference between the two is then added to my balance. Sound confusing? Well it is!!! Please follow up with me next week to see why Pay Option ARM mortgages spiral out of control for consumers.